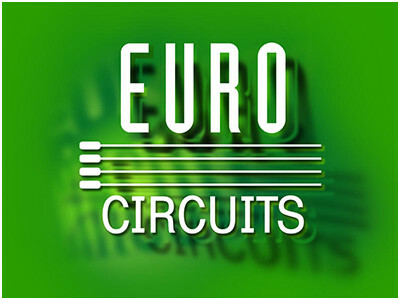 Printed circuit board (PCB) manufacturing company Eurocircuits offers a free online tool suite, the PCB Visualizer. Clients can use it to check their PCB design for manufacturability before ordering. These tools not only allow to see how the board’s production files are interpreted by the manufacturer, they also serve as an interface to fine-tune an order simply by clicking options and selecting items from lists. 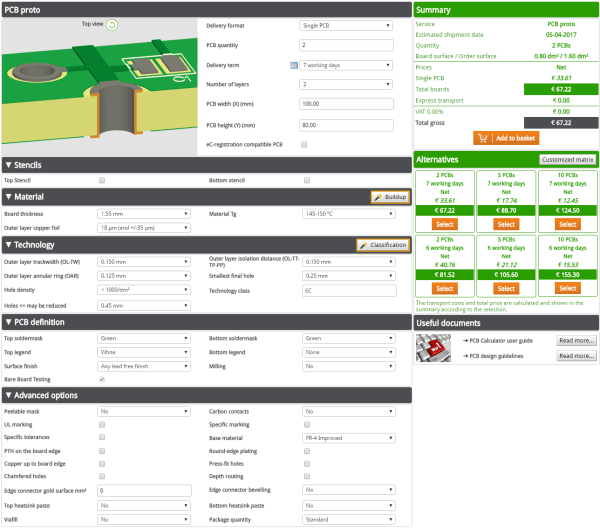 The printed circuit board (PCB) manufacturing company Eurocircuits, known for its prototype pooling services, offers a free online tool suite, the PCB Visualizer. Clients can use it to check their PCB design for manufacturability before ordering. These tools not only allow to see how the board’s production files are interpreted by the manufacturer, they also serve as an interface to fine-tune an order simply by clicking options and selecting items from lists. The price of the board is updated on-the-fly, giving the customer immediate feedback on his/her choices. Furthermore, prices are calculated for different quantities and delivery terms allowing to easily customise and optimise an order. Board (or order) configuration starts by specifying an initial quantity and delivery term. Once the board’s size and number of layers has been entered a grid of prices for various quantities and delivery terms is presented. Next, changing any board parameter will represent an influence on the board price. Parameters that have no particular influence on the price have their importance too as they show clearly what the customer wants. A powerful feature of the PCB Configurator is that every selection or change of any board parameter is validated on-the-fly against all other parameters already selected. 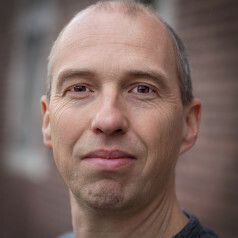 For example, if, on a double sided board with a 150 µm track and gap technology, we change the base copper from 18 µm to 70 µm, error messages explaining why this isn't possible are displayed. A subtle feature of the PCB Configurator is that it silently adjusts the type of pooling service to the requested quantity or technology restrictions. For low quantities it proposes the PCB proto, but when quantities become higher or technology more demanding it will switch to the STANDARD pool and BINDI pool (production in India) if this price-friendly option is technologically available. This way the tool ensures that the customer is always given the lowest cost option for the order. Yet another handy feature is the panel option. Select delivery format for example: “eC-panel by Eurocircuits” and open the panel editor. You can now play with the editor to determine you optimum customer panel format. This is very useful for series or very small boards of which you need a few.